The Student's Representative Council [SRC] of the Ghana School of Law, will today [Thursday] present several petitions following the failure of over 80 percent of students in examinations taken in May 2017. Parliament and the General Legal Council will be among the recipients of the petitions according to an SRC Vice-President, Lenin Anane Adjei. “[Today] we are going to submit petitions to the General Legal Council, we will submit petitions to the Parliamentary Commission on Subsidiary Legislation and also petition the independent examination board in order to gain access to the marking scheme,” he said on Eyewitness News. “…and also we'll submit a petition for students who demand their scripts to be allowed to see their scripts since past experience with the IEB [Independent Examination Board] have shown that in situations where they have made such scripts available there were some errors in the tallying of marks,” Mr. Adjei added. These petitions will follow reports that only 91 out of over 500 students passed in all 10 courses from the exams taken in May 2017. The students have since also questioned the credibility of the school’s Independent Examination Board (IEB). Mr. Adjei also expressed displeasure with the GHc 3,000 fee one has to pay for remarking. He insisted that it was not in the best interest of legal education in the country to charge 3,000 cedis for remarking. “It is in excess; telling us we cannot come for remarking at all because how many people living in the country see GHc 3,000 at the end of the year,” he asserted. At a press conference on Wednesday, the students demanded that General Legal Council allow independent examiners to mark the law student’s papers. “That re-marking, ideally, should be done within thirty days,” Mr. Adjei, told Citi News. 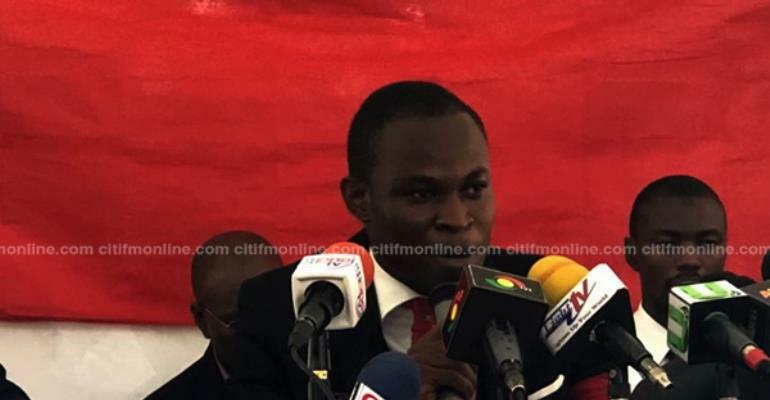 Though no ultimatum has been given the General Legal Council, Lenin Anane Adjei said it was imperative that the students’ examination papers were given a second eye. He noted that there will be a call to the bar in October 2018 so the student’s concerns must be addressed before then.